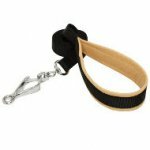 How to Fasten a Dog Leash Quickly & Easily? 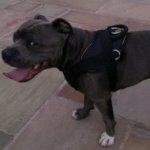 How does your dog feel like when you fasten a lead? This question may sound odd for a good many of people. 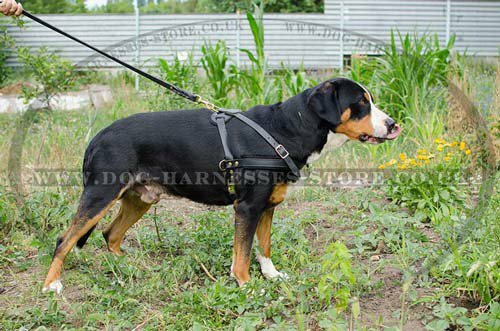 However the dog`s feeling during a lead fastening will weigh in how easily you will fasten a lead next time. 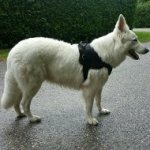 So that the dog leash fastening did not become an unpleasant procedure and the dog wouldn`t avoid it, it is important to consider the signals of dog reconciliation. 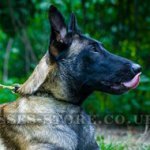 Stand alongside of your dog, be quiet and relaxed. 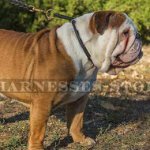 Fasten a dog lead with a subtle motion of the hand without touching a dog. 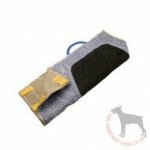 If to press on its back, pull to yourself and make noise, the dog will start avoiding the lead fastening. 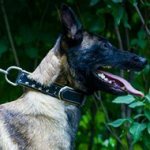 And if your dog lies down and shows a signal of reconciliation when you try to fasten a dog leash, it means, that it`s afraid and you do someting wrong. 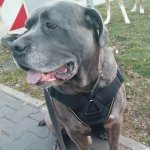 In order to simplify the procedure of dog leash fastening it`s better to attach it to a dog harness than a dog collar, because the dog harnesses are equipped with special rings on the top in order not to disomfor your pet and to make a leash fastening easier as for you as for your favourite. 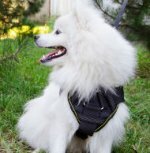 Comfy dog harnesses with D-ring on the top for leash fastening, click on the pictures to see them! 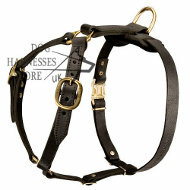 You can choose a durable dog walking leash here.